miCal HD ($2.99) for iPad helps users organize schedules and events with a variety of functions and features. Hits: Clean, functional, well-designed, user-interface. More than a simple calendar or to do app, miCal HD offers date and information reminders, the ability to add directions for scheduled appointments, and can sync with any iOS-compatible calendar application. Misses: Swiping from one day to the next can, at times, be slow. Users should first select which calendars to sync to avoid population of duplicate events. One of the most used app types on my iPad, and I suspect the same holds true for many others, are calendar and task list apps. There’s the Calendar app that’s bundled on the iPad. It’s a nice option, allowing one to view day, week, month or list views of your calendar, in addition to showing multiple calendars at once. If task lists are more your iPad thing, we’ve covered the gambit, from the bad, to the very good, but still I’ve craved something more. Something which combines the two, an excellent calendar with an excellent task list, which looks good, is feature-rich, and simple to use. Hello miCal HD! miCal HD features calendar staples including: daily, weekly, monthly and yearly calendar views. The interface is clean, well-presented and easy to navigate, but the app doesn’t stop with a slick design and basic features. miCal HD also offers a list view of upcoming items on one’s schedule, an easy-to-use menu and the app supports every calendar that can be synchronized with the iOS calendar app (Outlook, Exchange, Google Calendar, Facebook Events and more) with every correspondent color from the imported calendar displayed. Users should make note to first select which calendars one would like to sync to avoid population of duplicate events. It’s a minor annoyance, and one of the few aspects of the app which I was less than pleased with, but I understand its purpose. 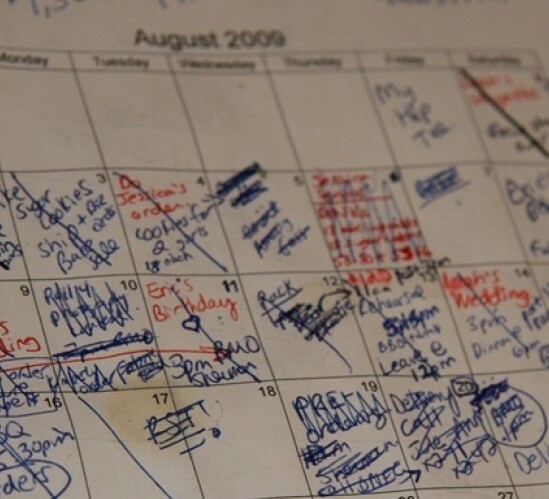 Adding a new item to one’s calendar is as simple a task as using the app’s other features. To add a new event, tap twice on a day, a free timeline or the navigation bar. Moreover, miCal HD provides the ability to add a place, GPS-coordinate or map section to any item, and invite contacts quickly and easily to an event via mail. miCal HD is a wonderful iPad calendar, task list, and more. Not only is the app a regular calendar, it can also be used for issuing reminders, allows for the adding of directions and is able to synchronize with numerous calendar programs. If you’ve sought a grand iPad calendar app which offers more than Apple’s bundled app, and other options in the App Store, you’ll be hard-pressed to find a more useful and user-friendly app than miCal HD.